Former NHL referee Michael (Mick) McGeough has died. He was 62. 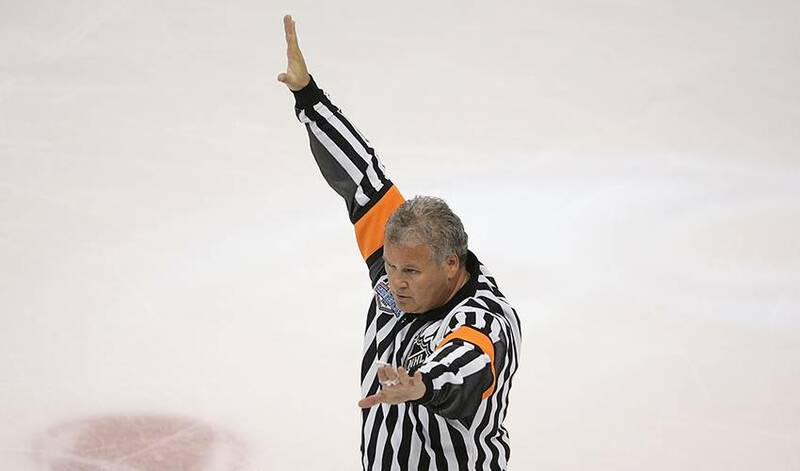 REGINA — Former NHL referee Michael (Mick) McGeough has died. He was 62. The NHL said in a statement Saturday that McGeough had died Friday night in Regina. McGeough refereed 1,083 regular-season games and 63 playoff contests from 1987 through 2008. "The National Hockey League lost a true friend of the game last night with the passing of Mick McGeough," NHL commissioner Gary Bettman said in a statement. "As one of the League's top referees for 21 years from 1987-88 until his retirement following the 2007-08 season, Mick's passion for the game shone through on a nightly basis. "He earned and maintained respect from players, coaches, general managers and his peers throughout his career with a unique style that combined humility and humour with decisiveness and fairness. The NHL family extends its deepest sympathies to his wife Angie and his five children — Jared, Luke, Kara, Karlie and Isaac." A page set up on the Go Fund Me website to support the Regina native's family said he had suffered a stroke on Sunday. The page went on to say that McGeough was seen by a neurosurgeon in Saskatoon this week, but it was determined the blood clots in his brain had cause irreversible damage and that he would be taken off life support. The Go Fund Me page had raised more than $12,000 by Saturday morning. The original goal was $10,000. McGeough, one of the last referees to officiate without a helmet, was one of the most well-known NHL officials during the 1990s and early 2000s. He was in the middle of the action during the 2000 playoff series between Toronto and Ottawa when Maple Leafs netminder Curtis Joseph accidentally sent him tumbling to the ice while protesting a Senators' goal late in Game 3. "Mick was the consummate communicator," said Stephen Walkom, the NHL's senior vice president and director of officiating. "Whether it was as an NHL referee for two decades or more recently in his position as officiating manager, Mick had the tremendous ability to tell stories — sharing his knowledge of the rules and insights into the game with everyone he met. "He was also a great teacher who took pride in inspiring and developing officials through his love for the game. On behalf of the entire NHL officiating team, we will miss Mick's friendship and our thoughts are with Angie and his entire family." McGeough had most recently worked with the NHL behind the scenes as an officiating supervisor, including during last season's first-round matchup that featured Toronto and the Boston Bruins.